Heeft u een vraag voor La Woods Hotel - Close to LIC Building? Gelegen in Chennai centrum, maakt La Woods Hotel - Close to LIC Building de perfecte keuze voor reizigers die Chennai en omgeving willen bekijken. Met haar locatie op 3 km afstand van het stadscentrum en 14 km van het vliegveld, trekt deze 3-sterren accommodatie jaarlijks vele reizigers aan. Met de belangrijkste attracties van de stad - zoals Spencer Plaza, Express Avenue Mall, SP Travels en Tours - binnen handbereik, zullen bezoekers van de accommodatie de locatie zeker waarderen. Profiteer van de ongeëvenaarde services en voorzieningen bij deze accommodatie in Chennai. U kunt hier gebruikmaken van een selectie van topklasse voorzieningen, zoals 24-uur roomservice, gratis wi-fi in alle kamers, 24-uur beveiliging, dagelijkse schoonmaak, ticket service . Alle accommodaties zijn zorgvuldig ingericht om het hoogste niveau van comfort te bieden. In enkele gastenkamers zijn plasma tv, internet (draadloos), draadloos internet (gratis), rookvrije kamers, airconditioning aanwezig. De accommodatie biedt geweldige recreatiemogelijkheden die uw verblijf onvergetelijk zullen maken, zoals massage. 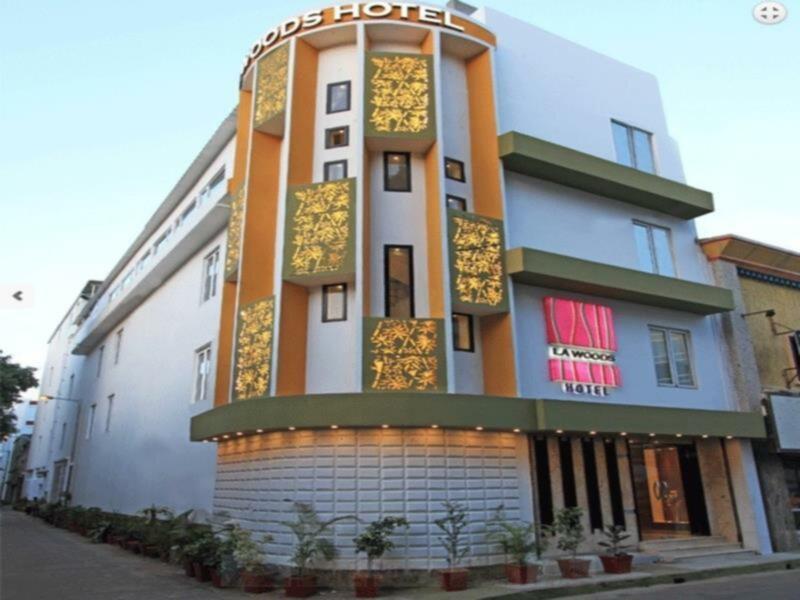 La Woods Hotel - Close to LIC Building is een slimme keuze voor mensen die naar Chennai reizen, een ontspannen verblijf is gegarandeerd. 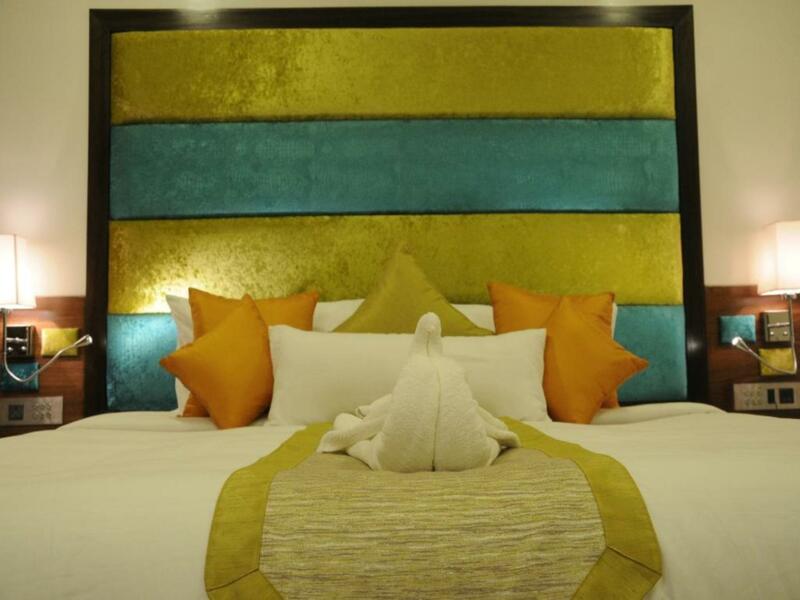 The hotel is very clean and close to spencer plaza and walking distance to a Mega Mall. Food is fantastic. Ideally located. Minus point we encounter was mosquito infestation. Very helpful, nice staff. I got the best introduction into our room I've ever had. Foid is excellent as well! Everythings works properly e.g. aircondition, TV. And the hotel is close to the sihhtseeings of Chennai. I recommend! The hotel is relatively new, so the conditions of the rooms were really nice. It had international sockets so we didn't need a extension plug point. The room was very clean. Good breakfast. Very friendly and accommodating staff. Would recommend this hotel if you are looking for a nice hotel with comfort. Location is about 10 minutes drive away to T.Nagar shopping hub. However, if you want to go to the malls, then it is at walking distance. I stayed at La Woods for two nights at the end of March. This was following four weeks of backpacking through southern India, and I wanted something a bit nicer than what I had been staying in, especially as Chennai was my last stop before 2 flights and 24 hours of traveling back to Canada. La Woods exceeded my expectations. The staff were friendly and helpful, the hotel was spotless, I had real hot water and good water pressure in my room, and breakfast was included. I was very happy, and wouldn't look to stay anywhere else my next time in Chennai. This is not the first time I visited Chennai, but my first time in La Woods. The staffs were very helpful and kind. They arranged airport pick up for me on the day I was arriving. Their kind assistance made my stay very happy, comfortable and safe. The hotel location is the best. It is located in the small street nearby shopping malls. Getting around was very easy thanks to the very helpful Mr. Anbudhasan and the other staffs too. As for the dining, they have the best traditional taste with healthy ingredients. I usually never order food from the hotel. But La Woods food are exceptional. Will surely come back for my next visit! Great air conditioning. .good value for the money..WiFi ok..central location. ..friendly staff. Restaurant staff very professional and responsive. Close to shopping malls. Centrally located clean place to stay. Walking distance everywhere. Best restaurants in hotel. Decent breakfast. Will definitely book again. We were a group of ladies from Malaysia and we were here from 23rd/July - 26th/July. When we arrived we were welcomed warmly by the staffs which enlightened us tho we were darn tired. And we had a complimentary breakfast for the day tho we didn't opt for one on that day. Never judge the hotel by it's exterior. The interior was very worth for the penny we paid. However, we encountered power trip few times in our room. But the problem was rectified immediately every time we encountered that issue. Other than that, the room was very cosy and very quiet tho it was beside a heavy traffic road. And the best part of the hotel was the food! We literally had most of our meals here including breakfast, lunch and dinner. The staffs were very friendly and helpful. Our lunch servings was mainly recommended by Mr Bappa and it was all too good. Would surely come back here again. I was very happy with the hotel's cleanliness, staff politeness and clean room!! I would give it 9/10, except on the last day i saw a cockroach at the lift lobby. I would definitely come back if the price is right as we felt it may have been a little overpriced as there aren't much facilities in the hotel itself. the breakfast was good enough based on south indian menu. dinner was also good. room was cleanest. I love the location , if you creazy about late night movie then this hotel is heaven for you. the express mall is in walking distance. you can find lots of food court at this mall.you can shop/watch movie at the last minute from this location before going to airport. Happy to stay , its walking distance to big shopping complex n very easy to get auto ! very helpful front desk staff's. Very friendly and helpfull staff, clean room and a good bed! Surely we come back.